The network of talented Oracle Customers willing to share ideas and solutions is unmatched in the HR space. The Oracle Taleo Talent Acquisition Cloud (TAC) is a great place to collaborate and find solutions to perplexing technology and HR problems. TAC is an active user community that has endured several changes of platform and facilitation for collaboration. Longtime community members recall the Taleo Knowledge Exchange as the pinnacle for learning and sharing. The community is still alive and active, but has since spread to OHUG forums and the Oracle Cloud Customer Connect platform. The nature of this community is still a competitive advantage and we remain committed to facilitating ongoing knowledge sharing. The following links can help you find a Special Interest Group or Regional User Group to support your ongoing peer learning. We also participate in the North American, Global, Compliance, Learn, Performance, and additional special interest groups. Oracle provides Cloud Customer Connect for product input or questions, and My Oracle Support for a documentation library and issue reporting system. These two avenues are facilitated by Oracle and can often lead you to the appropriate product manager. Both forums require you to sign up and maintain your user record. 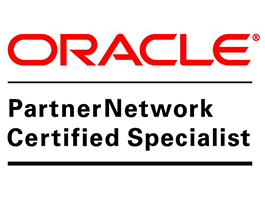 The Oracle HCM User Group (OHUG) is devoted to fostering the Oracle E-Business, PeopleSoft and HCM Cloud Communities through networking and training opportunities. They hold an annual conference and host the Regional User Groups (RUGs) and Special Interest Groups (SIGs). The OHUG forums are quite active and contain a wealth of current product and future release information. ThinkTalent is an active participant and supporter of the community, and leads several of the OHUG user groups. Taleo RUGs and SIGs are customer-driven communities where people from different global regions can communicate on a combined interest in local regulations, practices, or unique recruiting challenges. These groups are facilitated in forums where people can ask questions of their peers and also provide product direction input to Oracle.